A group of German civil rights lawyers files a lawsuit against the German government, demanding that the government attempt to extradite 13 CIA agents named in the alleged kidnapping of a German citizen. Khalid el-Masri, a German citizen of Lebanese descent, says he was abducted in December 2003 at the Serbian-Macedonian border (see December 31, 2003-January 23, 2004 and January 23 - March 2004). He was flown by the CIA to a detention center in Kabul, Afghanistan, where he was interrogated and abused for months. El-Masri says he was released in Albania in May 2004, and told that he was the victim of mistaken identity (see May 29, 2004). No government or body has yet taken responsibility for el-Masri’s kidnapping and brutalization. US Secretary of State Condoleezza Rice and other US officials have refused to address the case, but German Chancellor Angela Merkel has said the US acknowledged making a mistake with el-Masri. Accountability - “We are demanding accountability” with the lawsuit, says attorney Wolfgang Kaleck. 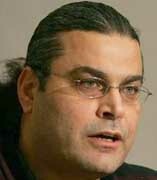 For himself, el-Masri says, “I just want the German government to acknowledge what happened to me.” An American judge dismissed a lawsuit filed by el-Masri against the CIA and three US corporations in 2006 (see May 18, 2006). 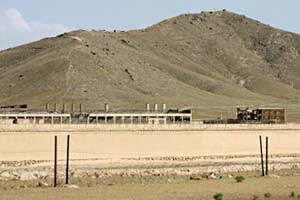 In January 2007, German prosecutors issued warrants for the arrests of 13 CIA agents, accusing them of wrongfully imprisoning el-Masri and causing him serious bodily harm. The US Justice Department refused the requests, citing “American national interests,” and the German Ministry of Justice dropped the request. The lawsuit seeks to force the German government to reconsider extradition for the CIA agents.